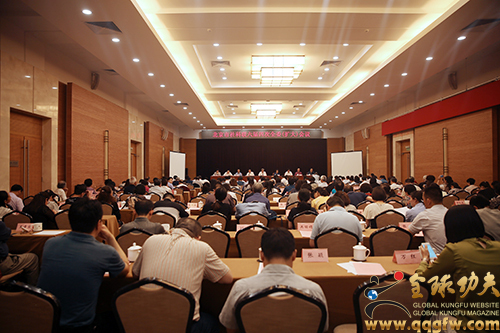 On the afternoon of May 16, 2018, the Global Kung Fu Network News held a grand meeting of the Beijing Municipal Council of Social Science and Technology in the East Conference Hall of the Beijing Convention Center. 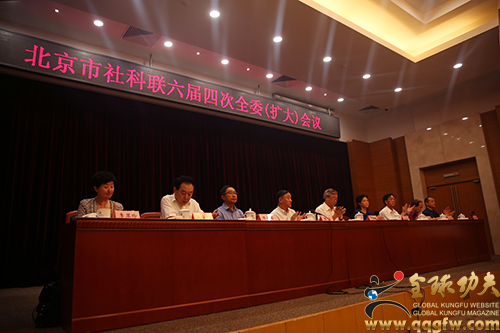 The meeting was chaired by Shenbaochang, chairman of the Municipal Council of Social Science and Technology. 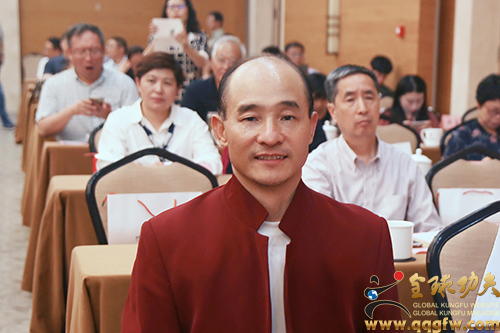 The United Nations Messenger of Friendship, Chairman of the China Association of Private Economy and International Cooperation, Special Vice Chairman of the 9th China Military Association, Chairman of the International Gongfu Federation, and President of the Beijing Society for Combating Glory and Traditional Tradition, Mr. Fubiao, were invited to attend the meeting. At the fourth session of the Sixth Committee of the Beijing Municipal Council for Social Science and Technology(Expanded) Conference, Comrade Rongdali, deputy secretary and vice chairman of the Party Committee of the Municipal Council for Social Science and Technology, made a statement on the adjustment of the Sixth Standing Committee of the Municipal Council for Social Science and Technology; To vote on the resignation of the Sixth Standing Committee of the Municipal Council for Social Science and Technology, the addition of proposed candidates, and the proposal of the executive vice chairman; Comrade Zhangmiao, Party Secretary of the Municipal Council for Social Science and Technology, made a report on the summary of work in 2017 and the main work points in 2018; The deliberation and adoption of the "Beijing Municipal Council for Social Science and Technology 2017 Work Summary" and "Beijing Municipal Council for Social Science and Technology 2018 Work Points". 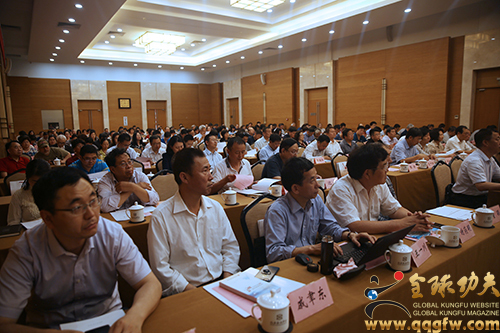 In 2017, the Beijing Municipal Council of Social Science and Technology will study and implement the important speeches of the 18th National Congress of the Party and General Secretary Xi Jinping, welcome the 19th National Congress of the Party, and study, publicize, and implement the 19th National Congress of the Party as the main line. General Secretary Xi Jinping's "5.17" important speech and the two visits to Beijing were basically followed by the spirit of the important speech, and the "two implementation and one implementation" was taken as the work guide. We accurately grasped the characteristics and key tasks of the capital's development, and based on the functional orientation and work practice of the ISSU. Solidarity leads the capital's philosophy and social science experts and scholars, take the initiative as a solid work, successfully completed all the work tasks throughout the year. Fubiao summed it up: there are three kinds of human power, that is, thought, culture, spirit. Wushu is the combination of thought and body language, the combination of art and aesthetics, the combination of power and skills, and the development of the human brain and limbs in coordination with each other. It is a science and technology that bolsters the spirit and will of all mankind. The promotion of a country's culture can sublimate the idea of a nation; The revival of martial arts can boost the national spirit of a country. An ideological nation is a people with an ideal and a goal and a hope; A spiritual people, this country will become more and more powerful! To govern the country, to govern the government, and to govern the family, they can not do without the spirit of ideology and culture. Through the ideological and cultural spirit to enhance people's social responsibility, social influence, social visibility, social values, social image, social status, personality charm, through the ideological and cultural spirit + economy, finally let the people of all ethnic groups in the world enjoy the health and happiness brought by martial arts! 2018 is the opening year for the implementation of the spirit of the 19th National Congress of the Party. It is the 40th anniversary of reform and opening up. It is a crucial year for the determination to build a moderately prosperous society in an all-round way and implement the "13th Five-Year Plan" plan. In 2018, the Municipal Council for Social Science and Technology will further strengthen its political consciousness, overall sense, core consciousness, and sense of alignment. Guided by Xi Jinping's vision of socialism with Chinese characteristics in the new era, it will focus on the work of the Central Committee and the municipal party committee. 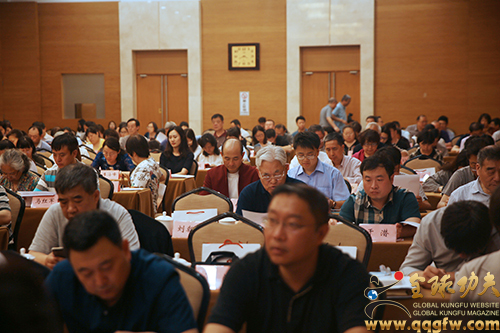 Guided by the "Decision of the CPC Central Committee on Deepening the Reform of the Party and State Institutions" and the "Plan for Deepening the Reform of the Party and State Institutions" adopted by the 19th CPC Central Committee, and taking the deepening of the reform of the group as an opportunity to fully implement the spirit of the city's propaganda ministers meeting, In the "United", "fruit" and "people" to make strong efforts, resolutely build the CSF ideological security line, and strive to build a national cultural center, promote the construction of a world-class harmonious and liveable capital, for the new era of capital philosophy and social sciences prosperity and development to make new contributions.